Round onyx 4 mm beads in a long strand (approx 35") contrasted with sweet turquoise teardrops and turquoise bead accents. 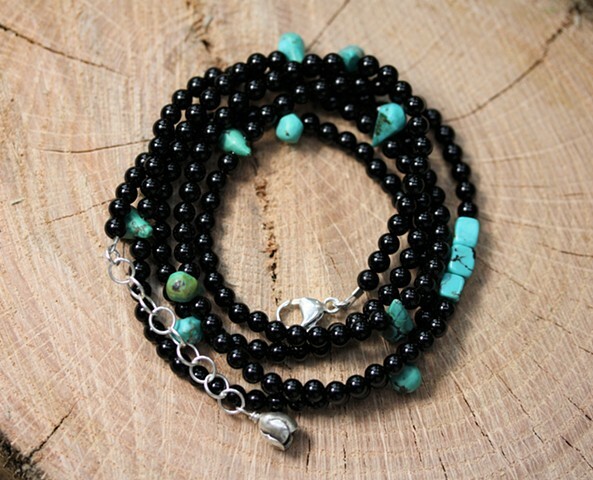 This piece can either be a 5 strand wrap bracelet or long necklace. Take your pick! Sterling lobster claw closure with sterling chain extender and accent bead.